You should see that angels remind us of God's exquisite love and plan for human beings. While both are created beings, only humans were made in the "image of God" and have the ability to procreate. While both have sinned, God chose to provide a plan of redemption only to human beings. Salvation will always be a "mystery" to angels including Satan! You should be aware of angels in your daily life. You should know your proper relationship to fallen and unfallen angels. You should be cautious of availing yourself to angelic guidance in lieu of the authority of Scripture. You can observe the examples of obedience and worship set by angels. 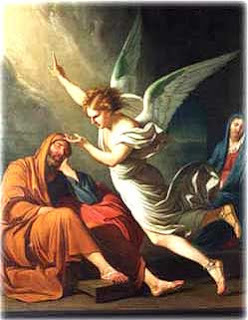 Good angels seek to follow and serve the will of God. Holy angels glorify God. Evil angels seek to pursue and satisfy their own will. You should be prepared for the motives and methods of demonic forces. You can recognize and take comfort in the sovereignty of God in the spirit world. Why is this important? A sound systematic theology of angels provides an objective basis for discerning the truth of what you may hear about angels and a rational basis of understanding the spirit world. 1. Grudem, W, Systematic Theology, Grand Rapids, MI: Zondervan (1994).